The Impact Snap is the best training aid to teach a proper release. With the Impact Snap you'll learn the correct motions of the wrists and forearms to compress balls like never before. If you have any questions regarding the Impact Snap Golf Swing Trainer, please give us a call, we would be happy to help you with any questions you may have. 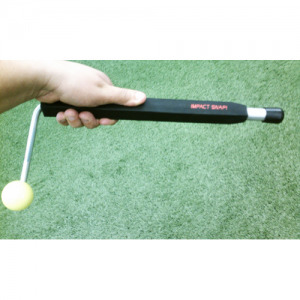 Write an online review on the Impact Snap Golf Swing Trainer, and share your thoughts with others.